Michigan state Rep. Rashida Tlaib won the Democratic nomination for U.S. House. Former Michigan state Rep. Rashida Tlaib won Tuesday's Democratic primary for a U.S. House seat and is poised to make history in November by becoming the first Muslim woman elected to Congress. Overcoming a crowded primary with four other candidates, Tlaib will assume the seat held by former Rep. John Conyers for a two-year term that begins in January. With no Republicans or Independents running for the 13th Congressional District, she is favored to win the general election. Although the Detroit native can be challenged by a write-in candidate, after scoring a narrow victory in a deeply Democratic field in a staunchly Democratic district, she remains uncontested. 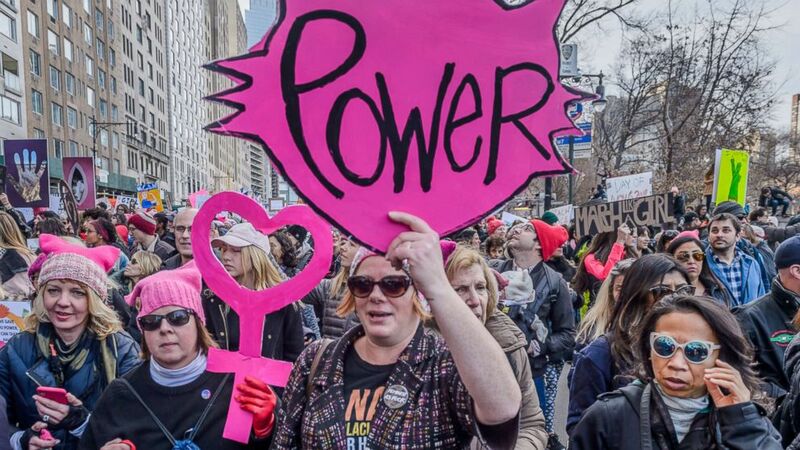 (Erik McGregor/Pacific Press/LightRocket via Getty Images) New York City raised its voice again to demand equality for all humans at the 2018 Womens March, Jan. 20, 2018, in New York City. Over a hundred thousand New Yorkers took the streets on Central Park West from Columbus Circle to 86 Street to send a message to the Trump administration, "We wont stop until all individuals are treated equally NOW!." The Associated Press called the election for Tlaib early Wednesday morning. She is part of a trove of women who declared candidacies for office in 2018. According to the Center for American Women and Politics, nearly 500 women are running for Congress this year across both parties. After winning the nomination, Tlaib also helped the so-called "pink wave" cross another milestone: 2018 has the highest number of women nominees — at least 182 — running for the U.S. House of Representatives in history. Running as a progressive insurgent, similar to the ranks of Sen. Bernie Sanders and Democratic socialist Alexandria Ocasio-Cortez, Tlaib supports policies like "Medicare-for-all" and a $15 per hour minimum wage. 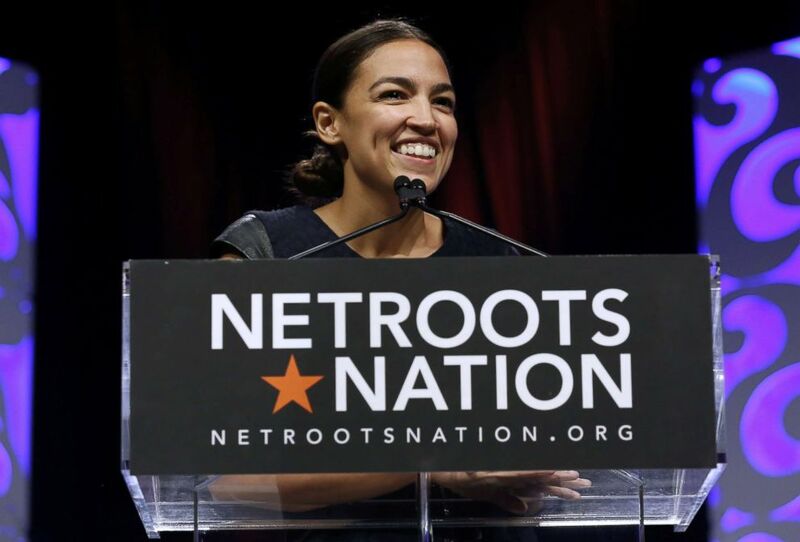 She was also endorsed by Justice Democrats — the same group that backed Cortez in her stunning defeat of New York Rep. Joe Crowley. (Jonathan Bachman/Reuters) Alexandria Ocasio-Cortez speaks at the Netroots Nation annual conference for political progressives in New Orleans, Aug. 4, 2018, 2018. Her campaign raised more than $1 million in donations, according to FiveThirtyEight, without taking any money from corporate PACs. In June, she bolstered her progressive platform, declaring her support for the #AbolishICE movement — which has contracted backlash from the right and caused division inside the left. She called the agency "a recent invention that makes our neighborhoods less safe, vindictively and cruelly tearing families apart." But Tlaib lost a simultaneous special election to serve the last two months of Conyers' term, the Associated Press is projecting. Conyers decided to step down in December prompting a special election. Conyers cited health concerns. At the time of his resignation, he was facing several sexual-harassment allegations. Detroit City Council President Brenda Jones will fill the seat from the November election until the next Congress begins. ABC News' Roey Hadar contributed to this report.